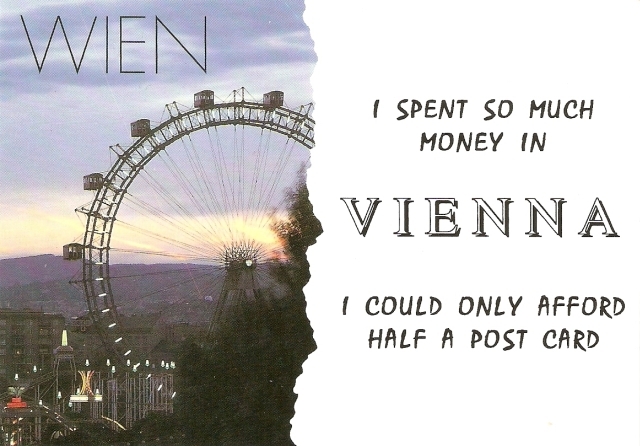 The postcard is showing the Wiener Reisenrad – or in English: Vienna Giant Wheel – a 65 metre (212 ft) tall ferris wheel at the entrance of the Prater amusement park. It’s one of Vienna’s most popular tourist attractions and symbolises Vienna’s 2nd Dictrict (where it’s located) as well as the city to many people. It was constructed in 1897, and it was the world’s tallest extant ferris wheel from 1920 to 1985. Also, a fun fact, it was supposed to be taken down. A permit for its demolition was issued in 1916, but due to a lack of funds with which to carry out the destruction, it survived. 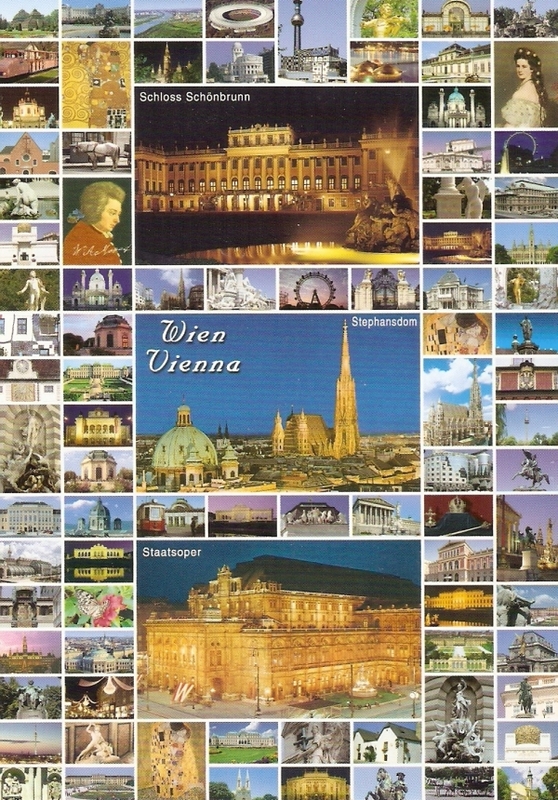 Another friend of mine went to Vienna in December. It’s quite a popular tourist destination in pre-Christmas period, I guess. So she brought back this sweet multiview postcard!